This project is directed towards preserving the natural and cultural heritage, located in Lithuania and Latvia, as well as to actively adapt to visiting tourists; to increase awareness of attractions through various publicity measures, to stimulate people’s interest in the region. The project aims to create a single region covering the tourist route by using innovative measures. 7 partners are participating in the project: 3 from Lithuania, 4 from Latvia. During the project, an interactive map will be created. This map will mark 10 must-see sights in each partner’s territory. In order to have the objects be attractive, and appropriate for tourists to visit, the funds will be invested in adapting the objects. The project aims to create a harmonious Lithuanian and Latvian tourism development system, to implement a model of the project that will show how the potential of regional tourism, if properly used, could help achieve outstanding results. Project Partner Viesite municipality finished reconstruction works of „Love trail”. It is one of the most popular environmental object in Viesite. It is one of the tourists attraction places where people can learn about human economic activity in untouched nature diversity and relax. The whole construction design is divided in 4 stages. Within the project reconstruction of the 2nd stage is carried out as it was planned in the application form. 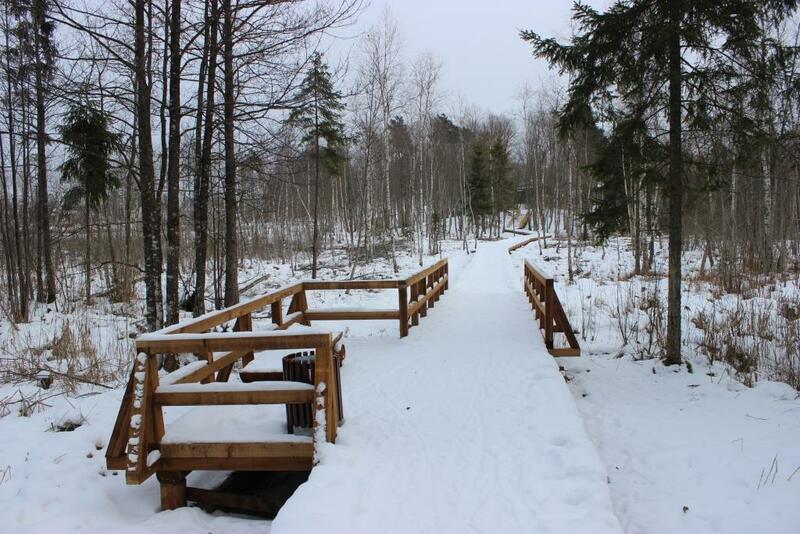 A reconstructed trail of wooden piles after full connects the bridge and Friendship hill. On 12-14 th of September 2017, project partners representatives went to good practice visit to Poland. The objective of the good practise visit was to visit the Wigry National Park (Poland), and the tourist centre of Augustow (Poland) and to share the tourism development experience using the latest technology and the future prospects of tourism. During the visit representatives visited places atractive for the tourists: Wigry narrow-gauge railway, tourist attractions, meeting with Wigry National Park administration, visting nature exhibition”Near Wigry”, education trail, Stari Palivarke museum, chanels of Augustow, visiting Augustow municipality sharing experience with the Culture and Promotion Department staff. Project management group meeting was held on July 24, 2017 in Anykščiai, Lithuania. Discussion about good practice visit in Poland: project management team by voting decided to go to Poland on 12-14 September, 2017. Project partner Jekabils municipality will be responsible for transport. The purchase of transport services will be made when the program of the visit will be confirmed. 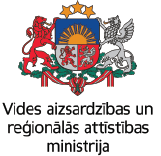 Project partner Directorate of Biržai regional park will be responsible for visit to Poland program. It is planned that first day will be for arrival to Poland and visiting National Park Suwalki, meetings and discussions with administration of the park and tourism centre. On the second day- visiting tourist attractions (narrow-gauge railway, the nature exhibition “Near Wigry”, the Stali Palivarke museum), meeting with administration employees for discussion and sharing good practice. On the third day – visiting the channels of Augustow, visiting tourist information centre. Other general questions about the project implementation: During the meeting project management team also discussed about making some project changes such as moving procurement procedures to other periods, budget savings, budget changes. All project management members decided, to prepare their requests and send them to Leading Project partner. Then Leading Project partner on the basis of received information will prepare general project change request. The kick-off meeting of the project was organised on 22 nd of May 2017. Partnership agreement was signed. During the meeting partners established management bodies, coordination, management, monitoring and evaluating systems: responsibilities and duties of each partner. Directorate of Anykščiai regional park will take the main role in the project management. All partners will appoint 2 employees for the project (project coordinator and project financial manager, except Directorate of Anykščiai regional park which will appoint 3 employees for the project – project manager, project coordinator and project financial manager. In generalization, project management group will be formed of fifteen people. Blank contact list was circulated to identify within each organization the person to be involved in the project as project coordinator. Kick-off meeting of the project LLI-199 "Travel smart - visit Lithuania and Latvia"